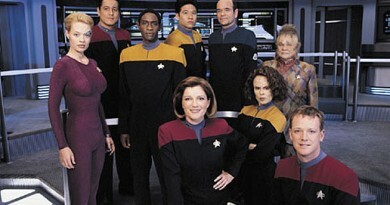 Fangirls Around the Web is a post series that spotlights amazing fangirls and their heroines around the web. 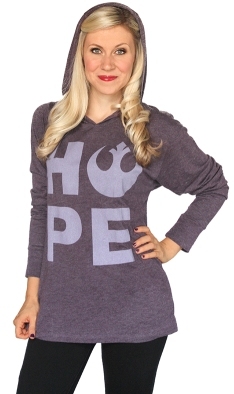 1) Every order placed on June 22nd at Heruniverse.com will receive a FREE gift (randomly inserted in a purple envelope with their order and personally autographed by Ashley) of $5 up to $500! Will YOU be the lucky one to win $500? 2) We’re re-releasing three of our original and most popular Star Wars pieces launched years ago for all of you who might have missed out on these Force-ful fashions! You will be able to find them here on the 22nd. 12:30-1:00 PM PST – Dessert Party! We’re bringing our favorite baked goods or desserts to celebrate and we want YOU to do the same at home! 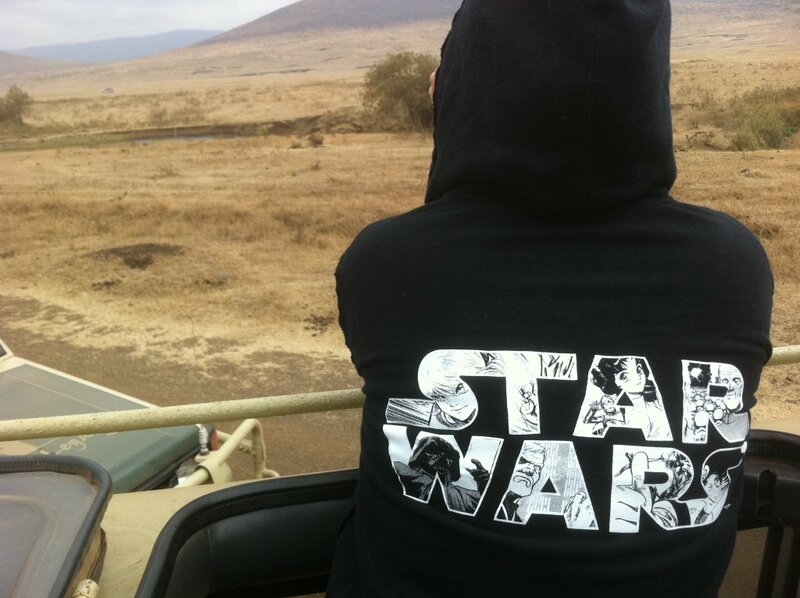 The re-released items include the Star Wars Burnout t-shirt, the ESB Poster t-shirt, and the Star Wars Manga hoodie. The Manga hoodie is one of my all-time favorite pieces. 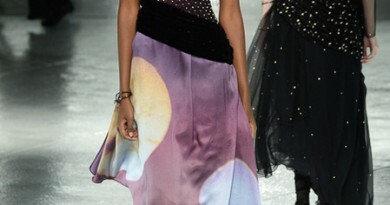 I have worn it all over the world, including on trips to Africa and the Galapagos. The lion blends in with the grass, in the distance above my left shoulder. A few other of my favorite pieces include the May the Force Be With You sweatshirt, the Darth Vader Japanese Dress, and the I Love You, I Know v-neck. I asked some fellow fangirls for their recommendations and received a lot of responses. View all the feedback here. Amy Ratcliffe is going for a second Manga hoodie because hers is “comfy and cozy after five years” and Shannon Hammerstrom is aiming to get her first one. Bethany Blanton suggests the rerelease Burnout. 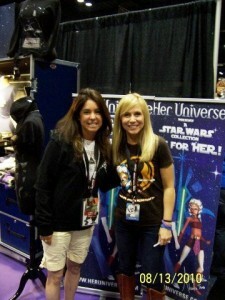 Sarah Dempster and our own Geek Kay love the May the Force Be With You sweatshirt. @SarahDemp @fangirlcantina @HerUniverse Seconding this. That sweatshirt may be my fav HU thing I've ever bought. Sarah joins Johnamarie Macias and Patty Hammond in pointing to the cardigans as great work worthy alternatives. 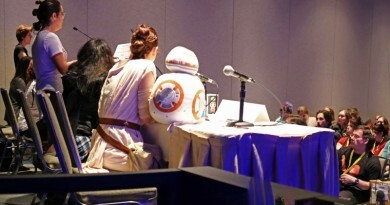 My Fangirls Going Rogue co-host Sarah Woloski loves the Han Solo dress with R2-D2 jewelry. She, Cheryl Anne Corneille, TiffanyIsAGeek, and Nanci Schwartz vote for the purple Hope hoodie. 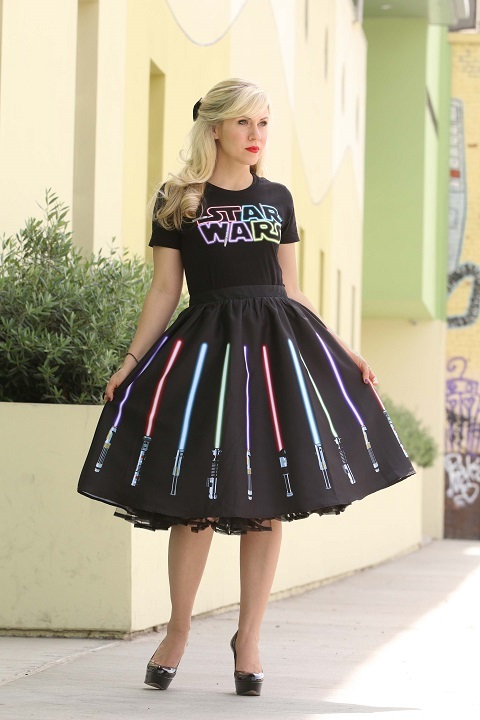 Fanboy Jeromy French chimed in, too, on behalf of his wife who loves her lightsaber skirt. One of the reasons I started Fangirls Around the Web was to become part of the grassroots movement to elevate things fangirls love. Anyone who has bought Her Universe and spoken about it on social media has helped in the company’s success. 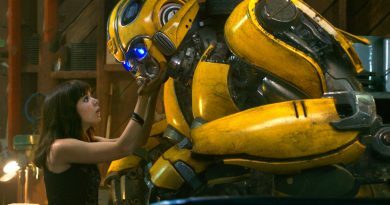 In addition, Her Universe’s success has helped convince franchises like Star Wars that women are powerful consumer group.